The Granite Bay real estate market is known regionally as the location of some of the most luxurious homes and neighborhoods in the area. 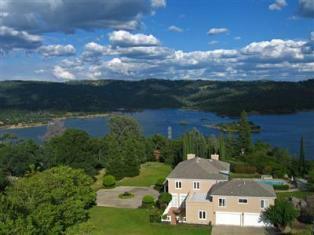 Granite Bay is situated in a prime location amongst the oaks and granite outcroppings that border Folsom Lake. It is surrounded on all sides by great communities, such as Roseville, Loomis, Orangevale and Folsom. It also borders upon and has access to Folsom Lake, which is one of the most popular recreation destinations in the area. Granite Bay High School and the Eureka School District have a long track record of top performance and serve as a magnet to the area as well. Granite Bay is primarily comprised of detached single family homes, but there is also a strong residential land market, due to consumer demand for property to construct custom homes. Granite Bay is home to numerous custom home communities such as Los Lagos, Wexford, Princeton Reach, Cavitt Ranch, Folsom Lake Estates, Shelborne, Silverwood, The Residences and many others. If you are interested in buying or selling a home in Granite Bay, please feel free to contact us to arrange an appointment.